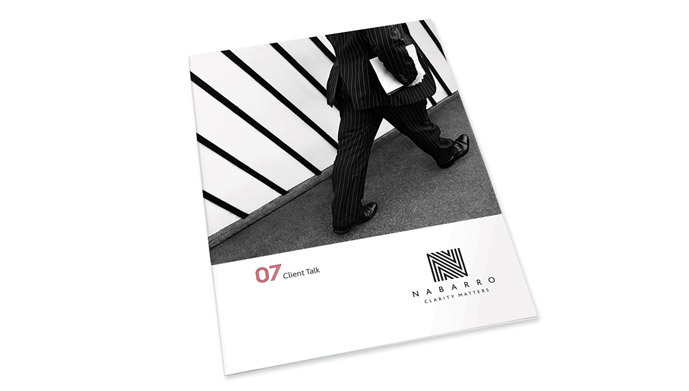 Putting a law firm on first name terms. 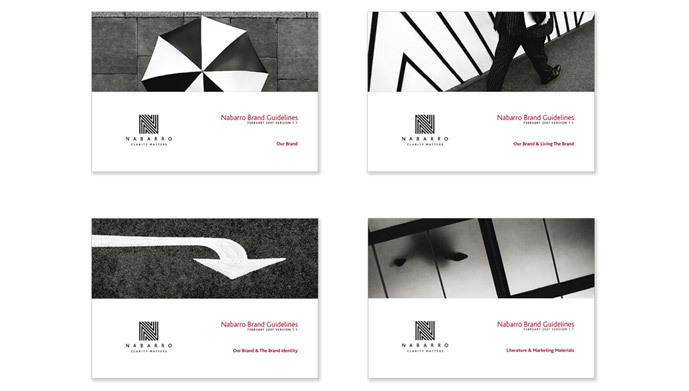 Revamp the image of a large UK law firm perceived as solid but a little uninspiring. 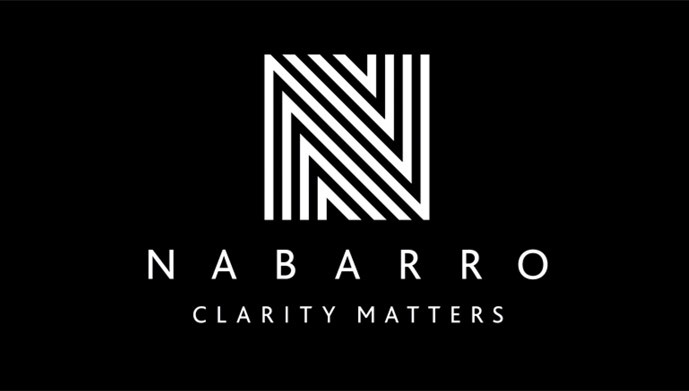 Nabarro Nathanson is in fact, a successful, dynamic practice with a strong management team, but they were seen as just another grey corporate law firm. 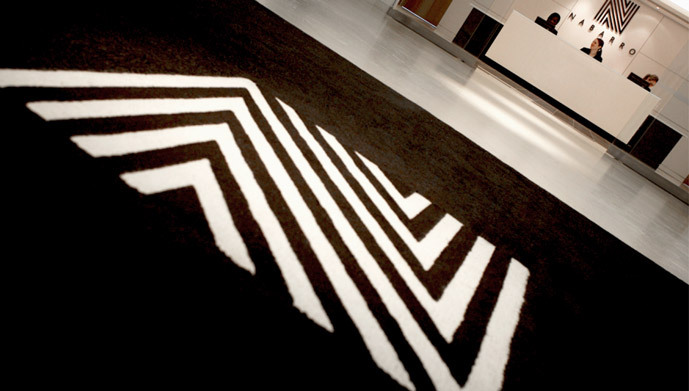 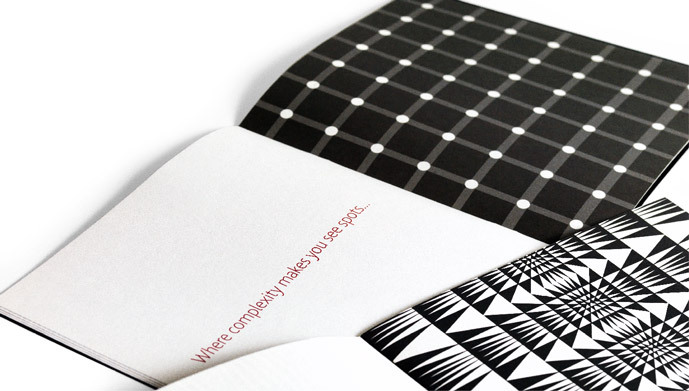 To be successful, we had to add dimension and richness to their current identity. 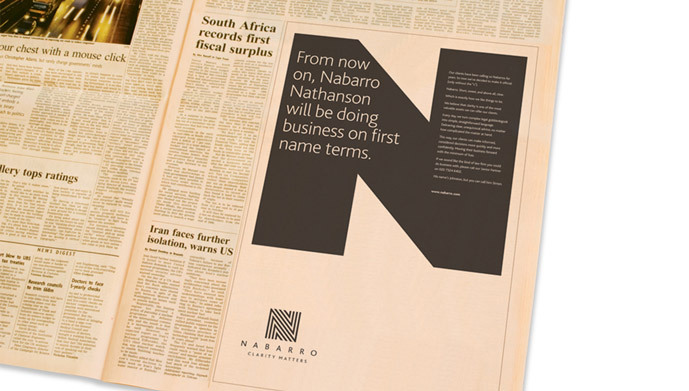 We shortened the firm’s name to Nabarro, a refinement that signaled a clear move away from the past. 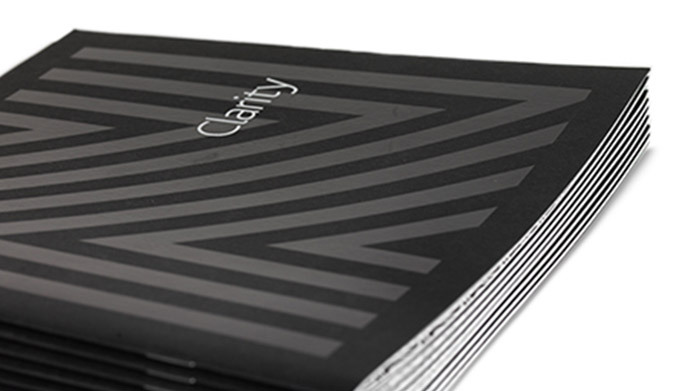 To underline their philosophy of ‘user-friendly law’ we developed a single-minded theme: Clarity. 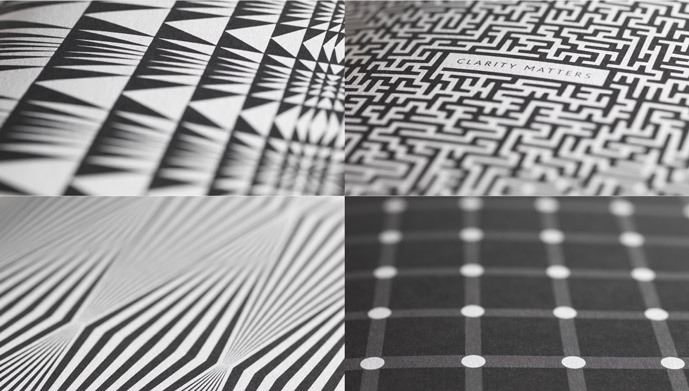 In just 3 months, we created a new award-winning identity, literature system, image library and website. 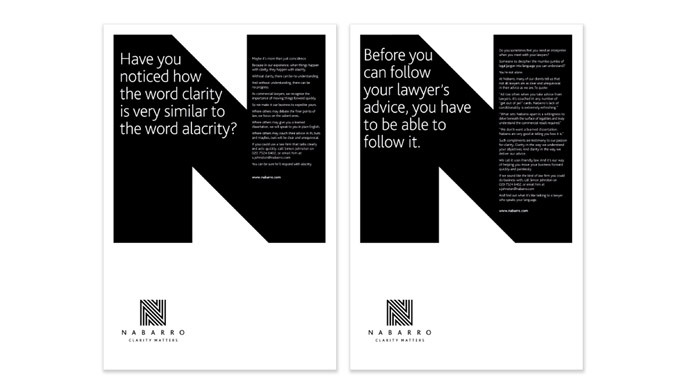 With supposedly fuddy-duddy lawyers now pledging to “unmuddy and unboggle” every aspect of corporate law. 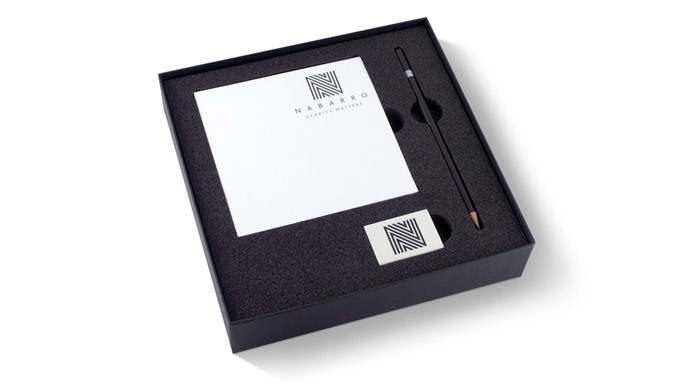 Brand strategy, naming, corporate identity, brand communications, brand management.